I tried my best to keep it as close to accurate as possible. If you see any discrepancies feel free to send me a message and I will try to correct it. If you wish to contribute to this project, post your map in this thread and I will add it to what we have so far. The purpose of this thread is to create a way for people to find and play with their friends. It probably wont be stickied because maps are controversial and this project direcly conflicts with the design feature of making it harder to find each other in order to combat alts/botting. I'll do my best to keep it updated and bumped. If you have any questions feel free to message me here or in game. Last edited by Op on Sun Aug 30, 2015 7:28 pm, edited 48 times in total. Bump : Added two more large bodies of water to the map. I am working on this for the next 24 hours so keep checking in, updating it every 20 minutes or so. Nice! Are you crowd-sourcing this at all (i.e. taking submissions)? Vertine wrote: Nice! Are you crowd-sourcing this at all (i.e. taking submissions)? So far I've been at it alone but I could totally add any submissions you would like to add! 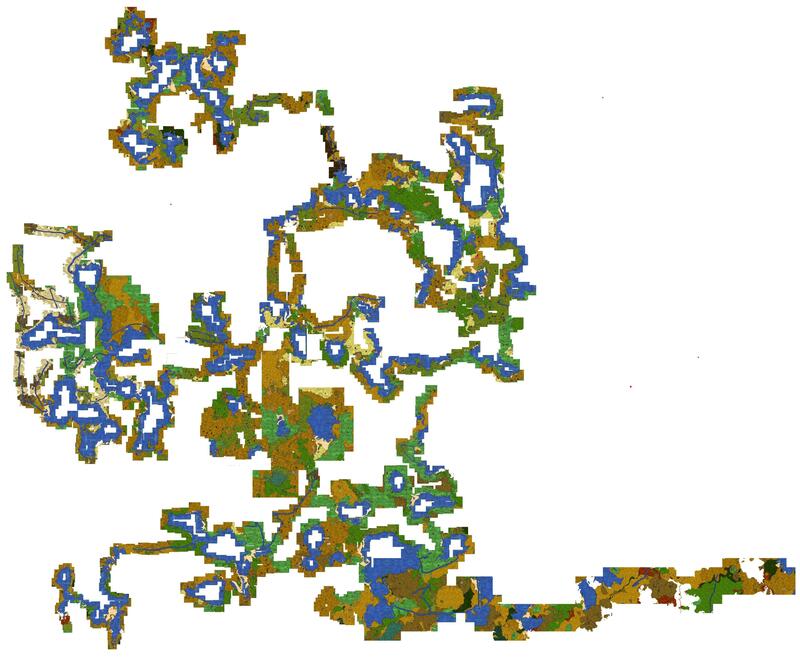 I am mapping out a huge body of water SE atm, But the swamps northwest havent been mapped yet. Ah, I thought I knew where a spot was on it but I was wrong lol. Still, are you just using screenshots of the minimap and stitching them together? Vertine wrote: Ah, I thought I knew where a spot was on it but I was wrong lol. Still, are you just using screenshots of the minimap and stitching them together?